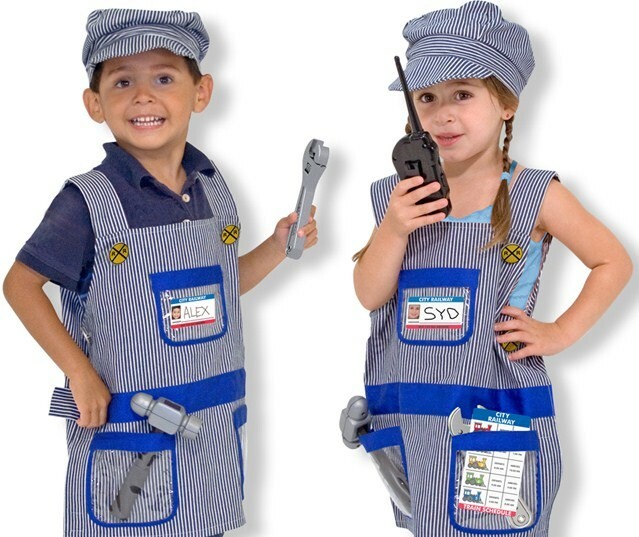 Melissa & Doug Train Engineer Role Play Costume Set is the perfect pairing to a new train set... your child will LOVE "looking the part"! Don't let the train leave the station without fully equipping your little engineer-in-training! 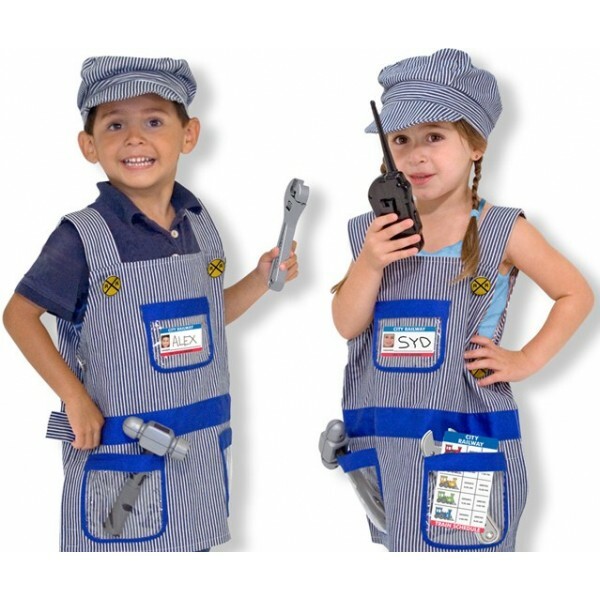 Wearing this machine-washable overall smock and hat, complete with the requisite hammer and wrench, train schedule, walkie-talkie with sound effects and a name tag for personalizing, your child is ready for adventures on the rails! Made for kids ages 3 and up.